Otsurui is distilled only once. This is a traditional way of making Shochu and single distillation leaves a smell of the source ingredient and strong individual character in a taste. 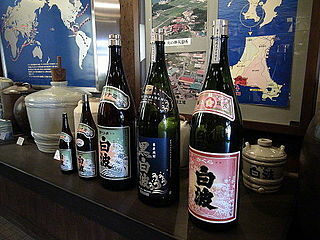 Korui is distilled several times. Repeated distillation forms ethyl alcohol of high purity which has a taste of little distinction. Water is then added, and this water is the main source to determine the taste and palatability of Shochu.